I had every intention of writing a witty, informative post about the Jib - the front sail on a sailboat, used to assist the mainsail in its wind using duties - followed by an even wittier and informative explanation of an Accidental Jibe - when, while sailing downwind with the sails full out, the wind (or the boat) changes direction causing the crew to lose control of the sails resulting in the boom - the big wooden beam attached to the mainsail - slamming full speed across the cockpit potentially knocking one or all crew into the water. See also, 'About' in the A post for a slightly less violent and controlled version of this going upwind. Derailed by a deceptive cup of 'sleepy' tea, NOT the kind with the snuggly bear on the box, and an early wake up call for a training session on the new charting system at work, I have exactly three super confusing paragraphs written. I did not enjoy rereading them and I am SURE you won't. Which brings me back to J - and Jib. Well, it is also the Mainsail. After weighing the pros and cons of aluminum vs wooden mast for our wooden sloop, Blue Skies, we decided it was much cooler and cheaper, for Rob to make the mast himself. Consequently, with less weighing of options, it was decided that I would sew the sails. This kit is from Sailrite. The pieces are all precut and the instructions both written and video, were spot on. I highly recommend their product. This is the Jib, completed with me delirious that it is finished. I had blocked the Mainsail construction from my mind at this point. Here is the Jib attached to Blue Skies. The neighbors were cautiously curious as to why we were setting up a sailboat in our driveway. To their credit, they still invite us to the yearly block party. This is my favorite view of the Jib, lounging on the bow in the shade of the sail. This was our rental boat from Key Lime Sailing Club in Key Largo. Come back on Thursday for the letter K and more info on this awesome place. And here is a video of an Accidental Jibe. I feel this says it all. 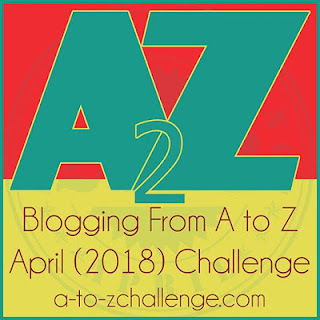 For more A to Z Challenge entries click a-to-zchallenge . I always lived in fear of getting brained by a flying jib - all that ducking and diving under the boom was a bit offputting for me. I bet the neighbours were worried there was a Noah's Ark event happening in their area and were relieved when it didn't start raining! Ducking certainly adds to the adventure! Ha, ha, and lots of good info! thanks. lol! I can see a poor dad secretly chasing after the sailboat! Thank you! Truthfully, it gave me so much more confidence and understanding of the sails! I've only been sailing twice that I can remember. Once was in San Francisco Bay with a school group and once was on a lake somewhere in New Jersey, if I remember correctly. I enjoyed both trips, but would not be much of a sailor on my own! It’s really a matter of exposure and practice. You could do it!